Afew weeks before last Friday’s cabinet reshuffle, some speculators thought, and even published in the media that changes in government would only come up after the Presidential elections. However, they were proven wrong by the one who has the yam and the knife when it comes to assigning compatriots to tasks to be judiciously tackled in the interest of the State. But what matters is not only whowill be doing what, when, and how, the tasks will be accomplished for the crux of effective administrative machinery. With the ongoing socio-political crisis that is regrettably drifting us from the enviable position of icon of peace to that of one of the trouble spots of Africa, no patriotic Cameroonian can spare individual and joint efforts aimed at ushering in changes for the better. This is what the President has been doing since August 2016 when he started responding to the needs of teachers and Common Law Lawyers who went on strike. In continuation of these efforts aimed at redressing other issues that have since come up, and in his position of Head of State of Cameroon, President Paul Biya in Friday’s cabinet shake up effected changes which prove that he is conscious of what must be done to trigger, if not guarantee the changes Cameroonians need to ensure power sharing at all levels. 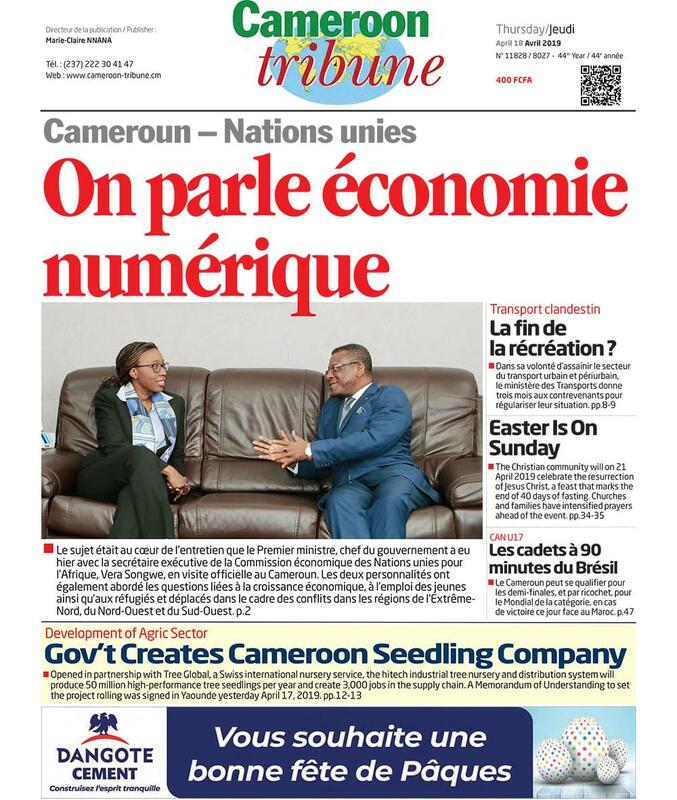 After last Friday’s apparently minor, but significant, cabinet shake up, we now know WHO has been placed WHERE to do WHAT, in the interest of fellow Cameroonians, who must remain united in love and stewardship. But this task cannot be left solely in the hands of those appointed. Consequenlly, as we pray for genuine cooperation of Cabinet Ministers. with Prime Minister, Head of Government, Philemon Yang, and wish them total commitment to their onerous tasks, we remind all citizens of the fact that their success depends on all patriotic citizens. Municipal and legislative representatives, Senators, traditional authorities, civil servants heading administrative services, Directors, and General Managers of State corporations must be aware of the truth that they are part of the system that demands sincere and effective output in the interest of the nation. While celebrating with brothers and sisters for having had the opportunity to serve the country at ministerial level, we should be constantly reminded that their success and cause for more celebrations would depend on the way we work with them. The Head of State has already done his own part to demonstrate the confidence he has in his compatriots who now should work closely with fellow citizens to attain the objectives that ensure peace and development. For instance, the joy of having the Ministry of Decentralisation and Local Development carved out of the Ministry of Territorial Administration, can only give the meaning deserved through a rational commitment to what is needed to decentralize effectively. Those in this Ministry should work hard with the rest of the administrative machinery to drift from centralisaiton in theory, and embrace realities. The challenges are many, delicate and demanding, but through patriotic cooperation by immediate collaborators and other citizens with concern for peace, political stability and unity, we can sustain the enviable status which Cameroon for long has enjoyed in Africa and the world at large. To achieve this, we must constantly size up our weaknesses and take up what must be done to alter the negative trends. This is important because without an awareness of what pulls us down, we cannot weather the storms that retard progress and betray our political maturity. As citizens of a country that faces a number of challenges that threaten not only our unity, but also political stability, we must sit up, and face squarely the causes of other weaknesses in the domains of sports, notably football, alarming rate of automobile accidents on our roads and drug consumption by youths. While we praise the President for effecting changes whenever need arises, we must be reminded of the fact that fruits of these changes can only be harvested if we work together with those appointed to achieve the goals that neccessited the changes. The Head of State has the yam and the knife to effect changes, while patriotic citizers face the challenge of making good use of what can be sliced for us to end up with dish that is dainty enough for all.